(CBS/AP) The garden state is about to get a whole lot greener. New Jersey has issued its first permit to grow medical marijuana legally. The permit was issued to nonprofit Montclair-based Greenleaf Compassion Center on Monday. A second permit would still need to be granted before the center can begin selling medical pot to patients. A crop is expected to take three to four months to grow, and the state says a permit to sell would come once the first crop is ready. Greenleaf is one of six centers chosen last year by the state to grow and sell cannabis. But it’s one of just two that have announced locations with local approvals. The Montclair group says it has a cultivation site but has not disclosed the location. Currently there are 16 states plus Washington D.C. that have medical marijuana laws on the books, CBS News reported. Laws vary throughout each state, but in New Jersey patients will be allowed to be dispensed two ounces of marijuana every 30 days with a doctor’s note. 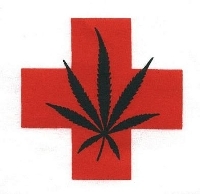 According to ProCon.org, in New Jersey medical marijuana is approved for treating seizure disorder, including epilepsy, intractable skeletal muscular spasticity, glaucoma; severe or chronic pain, severe nausea or vomiting, cachexia, or wasting syndrome resulting from HIV/AIDS or cancer; amyotrophic lateral sclerosis (Lou Gehrig’s Disease), multiple sclerosis, terminal cancer, muscular dystrophy, or inflammatory bowel disease, including Crohn’s disease; and terminal illness.